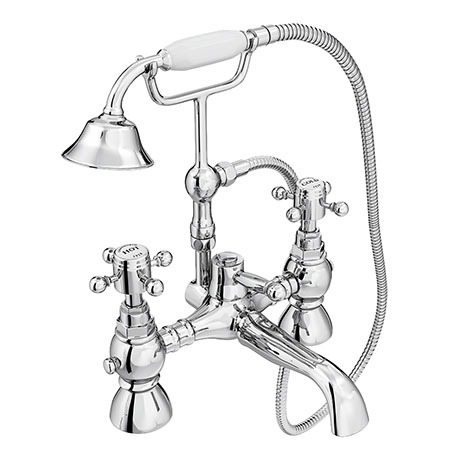 The traditional Chatsworth 1928 chrome bath shower mixer with shower kit, create a traditional feel in your bathroom with this classically styled luxury bath shower mixer tap. Manufactured from brass with a polished chrome plated finish. Features decorative cross heads with classic white indices. Transform any bathroom’s decor to the luxury and elegance of yesteryear. Supplied with standard cradle, ceramic diverter, hose and telephone style shower handset. "Haven't fitted it yet, but it looks and feels fantastic."